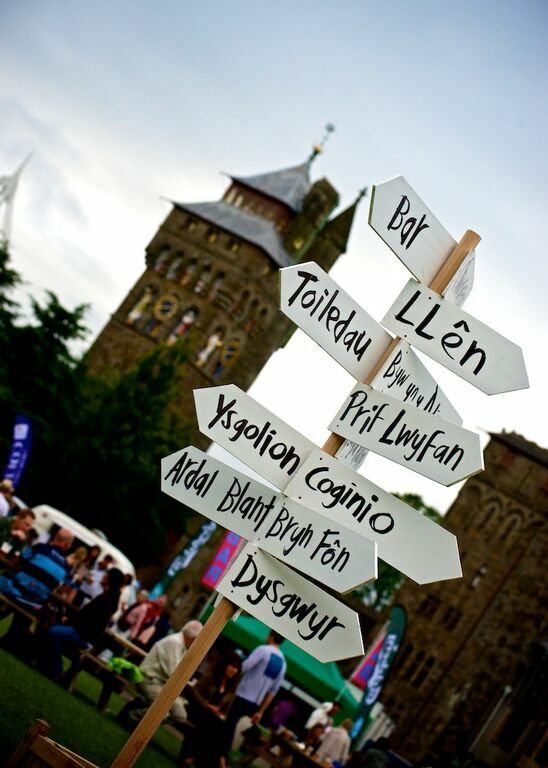 Wales’ largest Welsh language community festival Tafwyl returns to Cardiff Castle this weekend with a 2 day free event. Now in its tenth year, Tafwyl celebrates and showcases the use of Welsh in our Capital City by bringing together the biggest names in Welsh arts, culture and sport against the stunning backdrop of Cardiff Castle. Fresh from Glastonbury festival, Radio 1 DJ and Tafwyl ambassador Huw Stephens will open the inclusive festival, organised by Menter Caerdydd, which welcomes people of all ages regardless of their Welsh language ability. This year a record-breaking 25,000 attendees are expected over the course of the weekend to enjoy a free feast of live music, arts performances, sporting events, literature and culutural sessions and plenty of delicious Welsh food and drink. Highlights in this year’s programme of events include an extensive line-up of live musical performances from well-known artists over three stages including Kizzy Crawford, Swnami, Candelas and HMS Morris. A full-timetable of sporting activities and competitions with representatives from Cardiff City FC, WRU and Glamorgan Cricket on hand to offer tips and support. There will also be a special meet and greet appearance by the England Cricket Team, in Cardiff ahead of their Ashes clash with Australia at Sophia Gardens next week. Wales’ thriving contemporary culinary scene is celebrated with a dedicated Food and Drink marquee and a full programme of cooking demonstrations, workshops and tasting sessions. There is also an extensive street food offering featuring foodie favourites Bangkok Café, Grazing Shed, Onest and Fablas Ice Cream. There’s plenty of artistic inspiration, performances and workshops with Literature Wales hosting a full weekend of activities at the Literature Tent and Wales Millennium Centre, Sherman Cymru Theatre and Chapter programming events at the Culture Cwtsh. A new addition to Tafwyl this year, The Wellbeing Yurt is offering free taster sessions and healthy living talks throughout the weekend and a Baby Yurt is available for escaping the crowds with little ones. Welsh learners will find plenty of sessions to inspire and support at the Learners tent while the Cardiff Life tent, supported by the Heritage Lottery Fund, will give Cardiff residents and visitors alike the chance to delve into the history and culture of our capital city.